Chef Charles Wilford, Sr. visits the Southern Food & Beverage Museum on December 1 for a cooking demonstration. Chef Charles is the founder CW`14` Bis`Treaux in Baton Rouge and Chef Charles House of Creations. The program begins at 1 PM in the Rouses Culinary Innovation Center by Jenn-Air, samples are first come, first served. Free with museum admission. 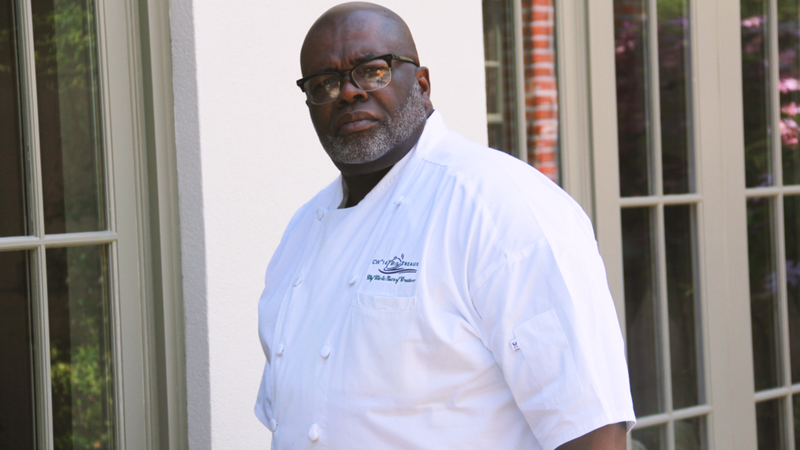 Chef Charles Wilford is the founder CW`14` Bis`Treaux in Baton Rouge and the Chef Charles House of Creations. He trained under Chef Mildred Maude at the Jake Stables Restaurant, Chef Sonny Creole of the Country Club of Louisiana, and his mentor SCMS LASKY of the USS Sacramento AOE-1. Has served as guest chef on WVLA Channel 33, WAFB Channel 9, Around Town Channel 9, and the Red Stick Market Place Chef Show Case. He has served as either Executive Chef or Sous Chef at DaJonel’s, the Shenandoah Country Club, the Camelot Club, the LSU Faculty Club, and the Double Tree Suites By Hilton. He is a sponsor of the Mary Bird Perkins Cancer Society.